Rumour: Animated Toys to be released Mid 2008? Stealth Bumblebee and More. Some bad news for those looking forward to the upcoming Transformers: Animated Toyline. According to a TFW2005 member who has received his December/January Collectors Club Magazine, the Animated Toyline will not be appearing on shelves around February or March, but instead will be appearing around June 2008, with a full Release by August 2008. No reasons as to why are given. 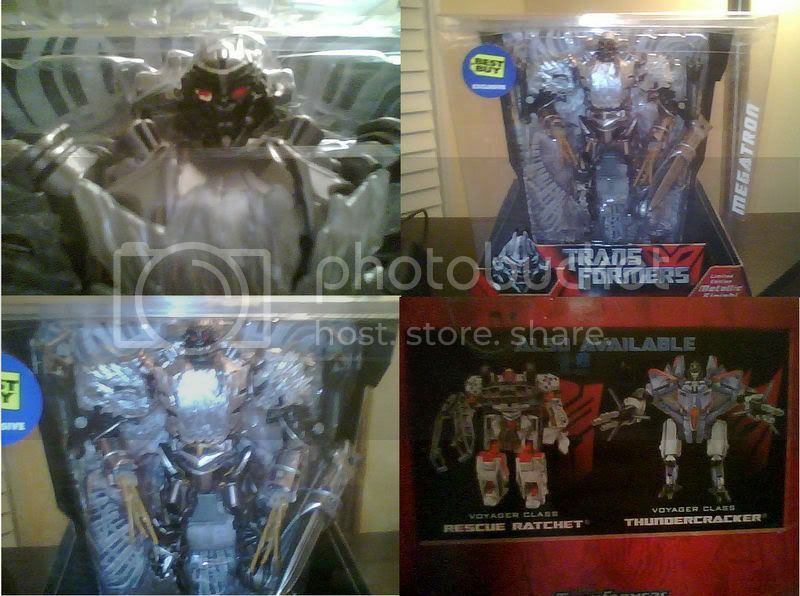 From the same source, the rumoured "Stealth Bumblebee" looks like he will be getting a release, with an inverted colour scheme (black with yellow stripes) and will also feature his Battle Mask as a new head. Finally the 4th Club Exclusive figure has been announced: Topspin will be a redeco of the helicopter mold from the Energon Bruticus Maximus team. GI Joe Movie Gets Release Date...And An Actress. The "GI JOE MOVIE" will be released on August 7, 2009, according to ComingSoon.Net. A few months after the release of TF2 is scheduled. If it was not obvious that she was meant for the part, comparing the statue and the magazine cover (her w/tiger), I would say she fits if you give her a black hair dye! You can discuss this and more GI Joe, Star Wars, sports, world news and other random items in the Seibertron.com General Discussion Forum. Rumour: Transformers: Animated to air 26th December? Comicscontinuum.com/ have posted a very interesting tidbit of information. Apparently the Transformers: Animated Telemovie will premiere on December 26th 2007 (Boxing Day) at 8pm (ET/PT). However since no sources or proof is given, this should be taken as a rumour. Optimus Prime approves of these shoes, and apparently so does NIKE. The long awaited REAL, WEARABLE NIKE shoes influenced by Transformer's characters' colors are making their debut at 'Goliath's' in NYC. You can check out this release at Freshnessmag.com and the original information can be found here. Time for you Transformer NIKE fans to pony up again, and grab a fresh pair of kicks to take on the court this weekend. Hopefully this means they will be released elsewhere too! Japanese Ultimate Bumblebee to Contain Die-Cast Metal? The Ages Three and Up Online store has received word that the Japanese release of the Ultimate Bumblebee figure will contain die-cast metal parts as opposed to the regular mass-release, made of plastic. See the original message by Ages Three and Up representative over at TFW2005 by clicking here. 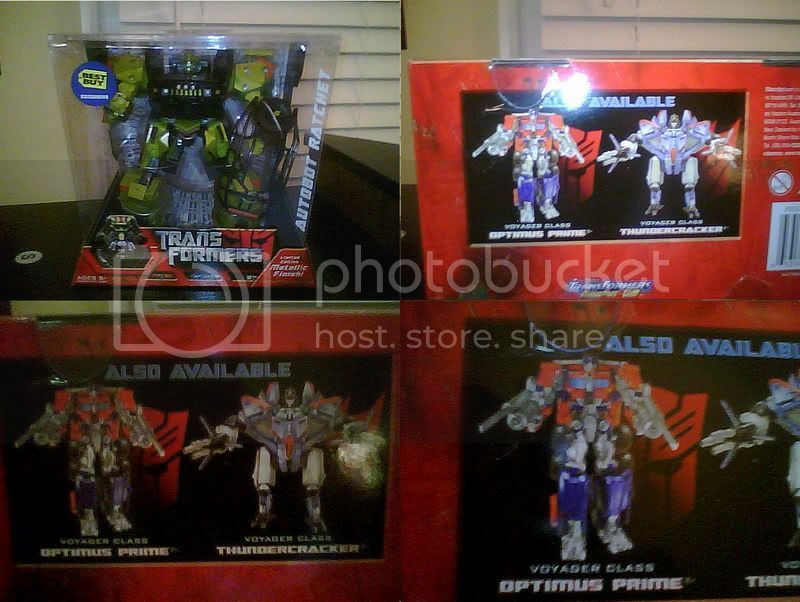 Rumour: Rescue Ratchet, Thundercracker and Optimus Prime to get Metallic Treatment next? The next up will be the new and improved Voyager Metallic Prime, which is different from the Robovision version sold at Target, it is in the darker color scheme, no extra flames, but is in Metallic shinny paint..with a Shinny Metallic Thundercracker..
After that is a Metallic shinny Rescue Ratchet, and Thundercracker again.. Many thanks to skywarp-2 for being thorough with his investigation.